Home/Blog/Welcome to our new website! 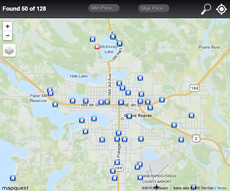 Please share with us your experience using our state of the art website; we sincerely hope you enjoy searching all the Real Estate properties available for sale in Grand Rapids, Itasca County & throughout Northern Minnesota that are listed for sale on the Itasca County Board of Realtors, MLS. Grand Properties Real Estate & Management is a full service licensed real estate brokerage specializing in Residential homes, Lake Homes & cabins, as well recreational vacant land & lakeshore properties. Grand Properties Real Estate & Management is the largest licensed property management company in Northern Minnesota; please feel free to select the rental tab that will redirect you to our rental web page where you can view hundreds of properties for lease throughout Itasca County & Saint Louis County.